The Varsity Gay League will join forces with the Los Angeles Parks Department, the LA Dodgers and the West Hollywood Gateway shopping center to stage a “Drag Ball” kickball game next month to raise money for Poinsettia Park. The goal of this second annual kickball game is to raise $10,000 to help improve security at the park, where an influx of homeless people and nearby tent encampments have worried nearby residents and users of the park. The event will take place at the park at 1 p.m. on June 9, the first day of L.A. Pride weekend. The park is at 7341 Willoughby Ave. in Los Angeles, just south of Romaine. The 2nd annual Drag Ball is a new LA Pride event consisting of drag kings and queens competing in a kickball match, along with a drag performance half-time show, for charity tips. Both teams, as well as members of VGL, will be doing fundraising throughout greater Los Angeles. Guests will have the chance to help their favorite team win by tipping the performers. The team that raises the most money wins the Drag Ball Award, which is being donated by Hollywood Trophy. hollywoodtrophy.com A representative from the Los Angeles Dodgers will be on hand to present a check matching up to $5,000 in support of the charity. Robert Oliver, field deputy to Los Angeles City Councilmember Paul Koretz, said the councilmember also will offer a $5,000 matching grant. Those that cannot attend can donate online here, under the name Poinsettia Park Friends. 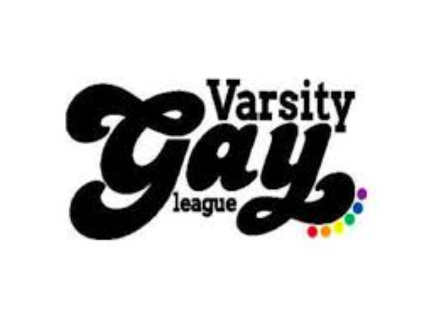 The Varsity Gay League founded in 2007, has more than 15,000 members across the country and includes leagues that play sports such as kickball, tennis, bowling, dodgeball, soccer, beach volleyball and trampoline dodgeball. This looks like a fun event, but shouldn’t the City of Los Angeles be responsible for improved security to the park? Isn’t that what our taxes are for? Oh, now it’s a “tent city” with “residents”. Describing the unfortunate condition of street life in those terms further illustrates how we’ve allowed the unacceptable to become acceptable. The objective should be to get these individuals off the street and give them the help they can’t give themselves…….Pandering leads nowhere. Great idea. Fun way to solve problems.